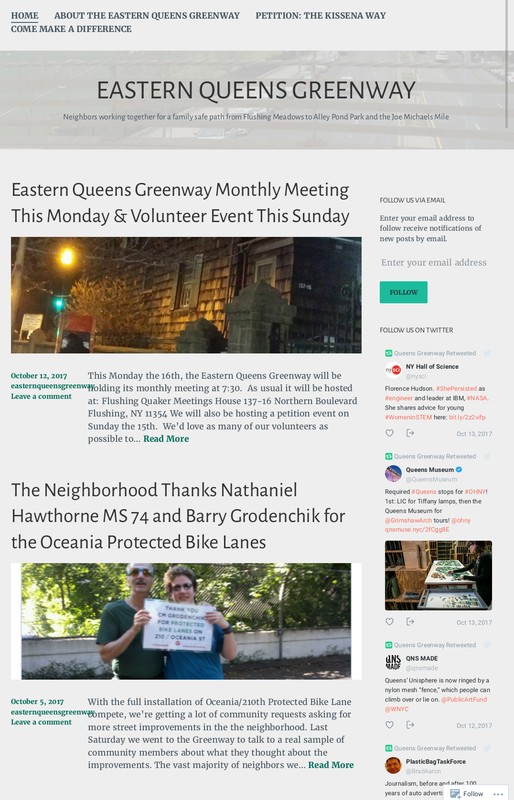 For a little over a year the Eastern Queens Greenway has been dedicated to improving the infrastructure in our community. Working together we can make sure everyone has safe access to their parks. We’ve learned a lot over that time and we hope to continue to grow and evolve to better serve our community. As we’re building our culture and identity, we wanted a logo that would support our goals. Joby has taken up the task and has put together this fantastic graphic. Joby spoke to us about his inspiration for the logo. I wanted the logo to reflect beautiful sylvan greenways, and I started out drawing forests and groves but that just didn’t scale well. Then I thought about using a leaf. I chose an oak leaf because I happened to be teaching my students about the genus name for Oak (Quercus) at the time and it was fun and challenging to make one in Illustrator. 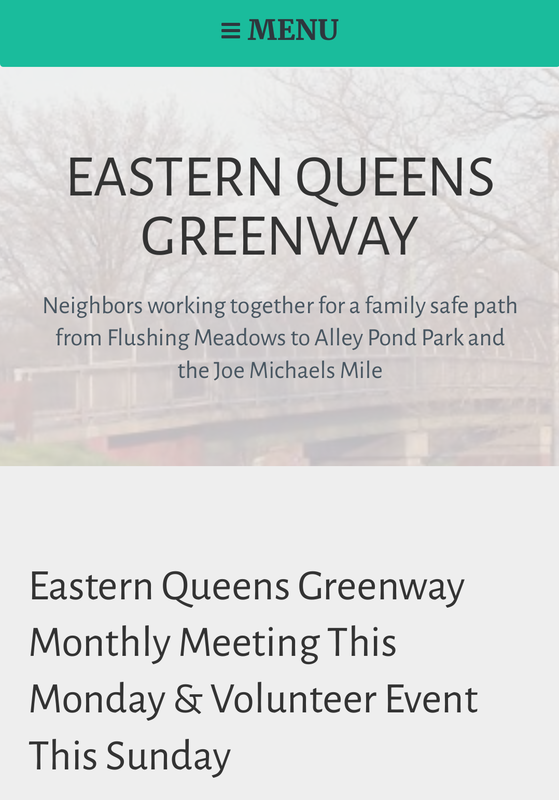 The ring reminds me of the orbits that surround the Unisphere and along with the midrib of the leaf helps to form a hint of the letter Q. Additionally, the white space suggests roads – or in our case greenways – specifically the Kissena Way, Motor Parkway, Alley Edge and Joe Michael’s greenways as well as the Motor Parkway East Greenway. In honor of the new logo, we also revisited our website design. Here are some screenshots of the upgrade. Please help us spread the word and tell your friends to follow us on facebook, twitter, or by entering their email address on our website. And we hope to see you tonight at 7:30 for our monthly meeting at the historic Quaker Meeting House.